Happy Monday! 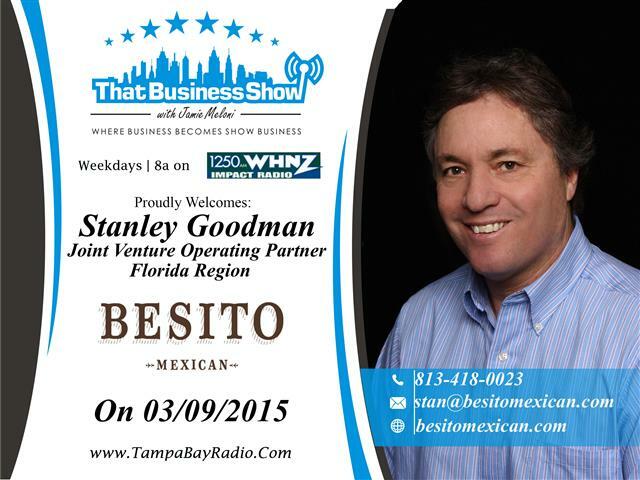 I got a great start to the week speaking with Stanley Goodman of Besito Mexican, a new Mexican Cuisine restaurant that will be opening on April 7th in the WestShore Plaza Mall located on 205 Westshore Plaza in Tampa. I was treated with fresh made guacamole which will be a restaurant specialty, table side guacamole made fresh for each guest as they arrive. Besito Mexican has 6 locations nationally with a 7th planned and will be an amazing destination for fine Mexican cuisine along with many cocktails and an array of tequilas, 75 roughly available for sipping and tasting at Besito Mexican. Learn more about this great restaurant at http://www.besitomexican.com! Alongside me today was expert contributor and co-host Jim McPeak of the McPeak Real Estate Firm. Jim is a veteran Realtor in the Tampa Bay Region and great friend who served his country honorable in the military and now serves as the Broker at his own firm. 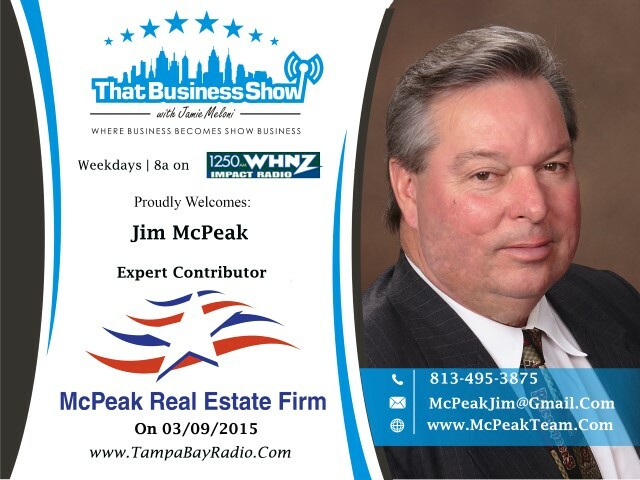 McPeak Real Estate Firm specializes in new home sales and VA assisted buyers and you can learn more about Jim at http://www.mcpeakteam.com or reach out to Jim directly at 813-495-3875 or mcpeakjim@gmail.com for more information!